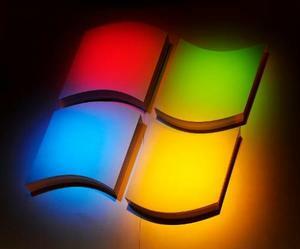 Microsoft (NASDAQ MSFT) declared the Quarterly reports on Thursday after the close of markets. The much awaited reports saw Microsoft performing very well. In fact, the software giants have performed much better than they did, at the same time last year. The reports showed an EPS of $0.62 and a revenue of $21.73 Billion. Both these values are substantially more than the ones which Microsoft reported last year at the same time. Here in this article, we will take a closer look at the quarterly report which was submitted by Microsoft this past week. It would also be beneficial for us to consider how the revenues might change in the coming quarter with the introduction of Windows 10. We will therefore also take a look at Windows 10 Operating System. In the latest Quarterly reports, Microsoft have reported a positive report despite the impact of foreign exchange rates. Nokia’s Integration and restructuring has a major effect on the reports. The GAAP EPS was of 0.61$ which had a negative impact of 0.01$ from this given Nokia situation. Windows 10 is scheduled to release this summer and by the looks of it, it is going to take the market by a storm. The new operating system would be a major player once it is introduced. It would also be the first operating system to be released under the leadership of Mr Satya Nadella. Windows 10 would have a host of new features. Cortuna is one of them. The return of start up menu has also got the market excited. Moreover, Nadella’s leadership has made sure that the new operating system works well on all platforms. Microsoft (NASDAQ MSFT) is a top performing stock which has got a lot of positive review from the analysts. With the quarterly report, Microsoft has just proved that the stock is on its way back to the top of the industry.